There’s no denying that Google Analytics is one of the most powerful tools and digital marketers can (and should) employ it into their strategy. As a financial advisor numbers are important – they’re hard to ignore or hide. Same is true for your website. Tracking and monitoring your website analytics is crucial and is the foundation of a performance-driven website. Google Analytics offers users a huge amount of data, but we’re here today to answer the top five most commonly asked questions by financial advisors about Google Analytics. 1. What is the audience overview landing page? 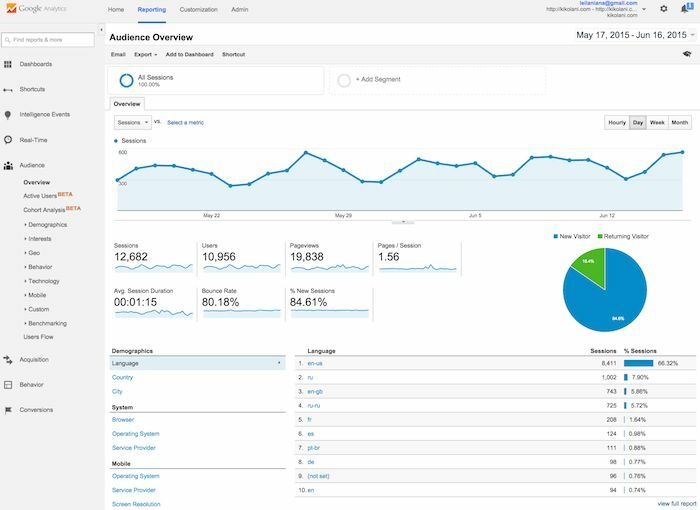 Each time you log into Google Analytics, you will first see your Audience Overview report. Alternatively, if you have more than one website, you will instead see a list of websites to choose from and then redirected to the Audience Overview report for your chosen website. This page will show you an overview of your website traffic for the selected date range, including metrics such as: total number of sessions, total number of users, average number of pages viewed per session, bounce rate, average session duration, and percentage of new sessions. 2. How do I adjust the date range in Google Analytics? The default setting will always show your data for the last week. In the date range box in the top right, you can click on the dates to change the date range of the data you are viewing. You can also check the compare box to compare your data from one date range (such as this month) to a previous date range (such as last month) to view your data. This is very helpful for instance if you have recently launched a new website, actively started blogging, or began posting on social media and would like a general overview of how your new marketing initiatives are impacting site visits and other metrics. 3. For 90%+ of my organic keywords, Google Analytics sayS “(not provided)” How can I Uncover those keywords? The (not provided) result is Google’s way of protecting search engine user’s privacy by hiding the keywords they use to discover your website via search. Google’s Webmaster Tools (now called Search Console, free), can help you uncover some of those keywords. They won’t be linked to your Google Analytics data, but at least you will have some clue what keywords searchers are using to find your website. Once you have setup your Google Search Console, click on the “Search Traffic” tab on the left hand tool bar, then click “Search Analytics.” At the top of the page (in the grey tool bar) select “Clicks” (total number of people who saw your result and clicked on it), “impressions” (total number of times your result showed up in the search results) “CTR” (click through rate) and “Position” (your webpage ranking for that search term – i.e. where in the search results your page was listed on Google). Once you’ve selected all four of those metrics, you will be able to see the search terms that are driving organic traffic to your website, as well as how popular your result is for each keyword. The higher the CTR for any keyword, the better your website is performing for that keyword. If you see a keyword that has a high number of impressions, but low CTR, that means people are not choosing your website for that keyword (and if that keyword is important to you, you’ll want to think about changing the meta description viewers are seeing for your page in the search results, as it obviously is not compelling or relevant enough for users to want to click on your page). 4. How do I share my Google Analytics data with someone? Fortunately, you don’t have to give your Google account information over to someone who needs to access your Google Analytics data. You just need to go to your Admin menu and under the Account, Property (website) or View you want someone to see, click the User Management menu. 5. WHAT ARE THE MOST IMPORTANT METRICS FOR FINANCIAL ADVISORS TO MONITOR in Google Analytics? New vs. Returning Users – ideally you would like to see a good mix of new and returning users. You’d like to see prospective clients checking you out but also see your current clients coming back to your site over and over again to login to their accounts, read your latest blog posts, etc. Bounce Rate – if you have a popular blog, your site-wide bounce rate may be higher as a good percentage of visitors may come to your site, read your latest blog post and leave. You can work to improve your bounce rate by always linking old blog posts within your latest post. Financial Advisors should aim to have their bounce rate between 40-60% (though single page scroll sites will ALWAYS be much higher as the user never has to navigate to another page on anything to see all the content. Referral Traffic Sources – you should ALWAYS pay attention to what other sites are sending traffic to your website! Organic Search Traffic – this will give you some insight into how much of your traffic is coming from people simply doing a basic search and finding your page. For instance, “financial planner in Cleveland, OH” (remember, for the list of organic keywords, you’ll need to head over to your Google Search Console page). Avg Session Duration/Avg Page Time – people are often surprised to learn that a typical financial advisor’s site has a average session duration of just under 1.3 minutes! You have a very short window of time to make an impression – so make sure your landing pages are optimized to present your Unique Value Proposition and Call to Action! Mobile – if you do not have a website that has been designed to be responsive, and yet 40% of your traffic is coming from mobile devices, you need to update your site ASAP! GEO Location/City – Most financial advisors have a specific geographic location in which they work. By selecting to see how your site is performing for visitors in the specific area in which you are located, you will have a much better idea of how your site is actually performing for your target audience. 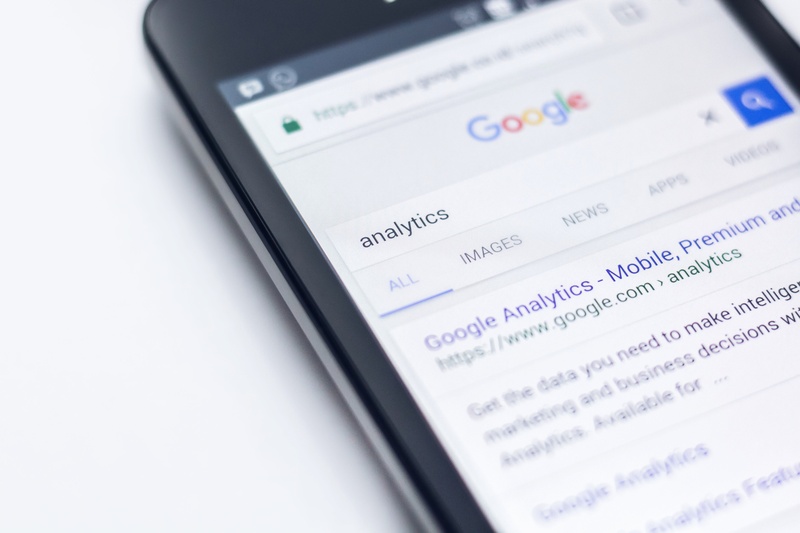 Our latest blog post is a webinar replay which discusses Google Analytics for Financial Advisors: Which metrics matter most? How Is Your Website Performing? We’ll Show You! Our Google Analytics Consultations are just $200 per session and we’ll show you how you can interpret your site’s data to make changes to your website that lead to more conversions. 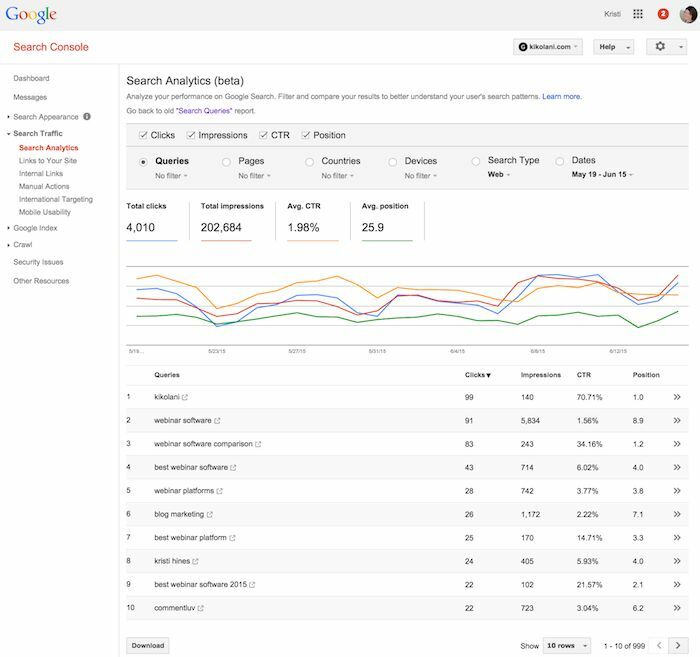 Google Analytics For Advisors: Which Metrics Should You Monitor?